Click the icons below for more information and to register. During the 1st quarter of 2019 the USGBC West Michigan Chapter, the USGBC Detroit Region, and DTE teamed up, along with several guest speakers, to present “It Pays to Build Beyond Code” lunch and learn events across Michigan. Attendees learned about the variety of resources available to maximize these incentives, and how incentive rebates can help offset installation or construction costs, reducing payback time on investments in energy efficiency projects. 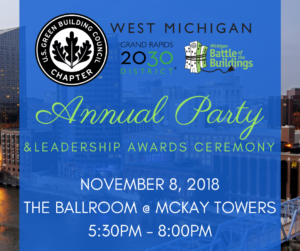 We celebrated our member's impact and successful year at our annual party on November 8th at The Ballroom at McKay Towers. Award-winning author and scholar Andrew Hoffman spoke on the "Future of Sustainability", and 7 local leaders were recognized for their efforts in green building & design at our first ever award ceremony. Check out our blog, videos, and annual impact report here. At this Lunch & Learn we heard from an LBC ambassador, Matthew VanSweden as he describes the steps to LBC certification. This session will gave the audience a clear understanding of the commitment to operate a high performing building (or home) that is guaranteed to tread lightly on its surroundings. In this session we learned that there are many options when considering how to fund your energy efficiency project. 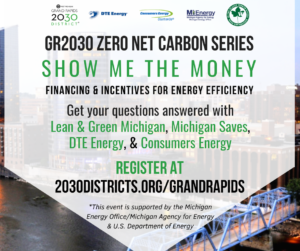 We explored how you can reduce your payback period using the Michigan utility incentive programs through DTE Energy & Consumers Energy and using available financing options that result in a positive cash flow with Lean & Green Michigan & Michigan Saves. Check out the presentations here. 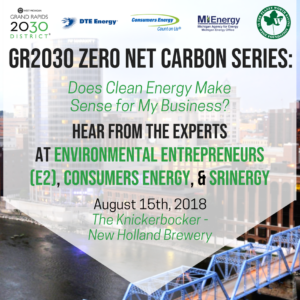 ZNC Series: Does Clean Energy Make Sense for My Business? During this session, the audience was presented with three interactive clean energy maps. 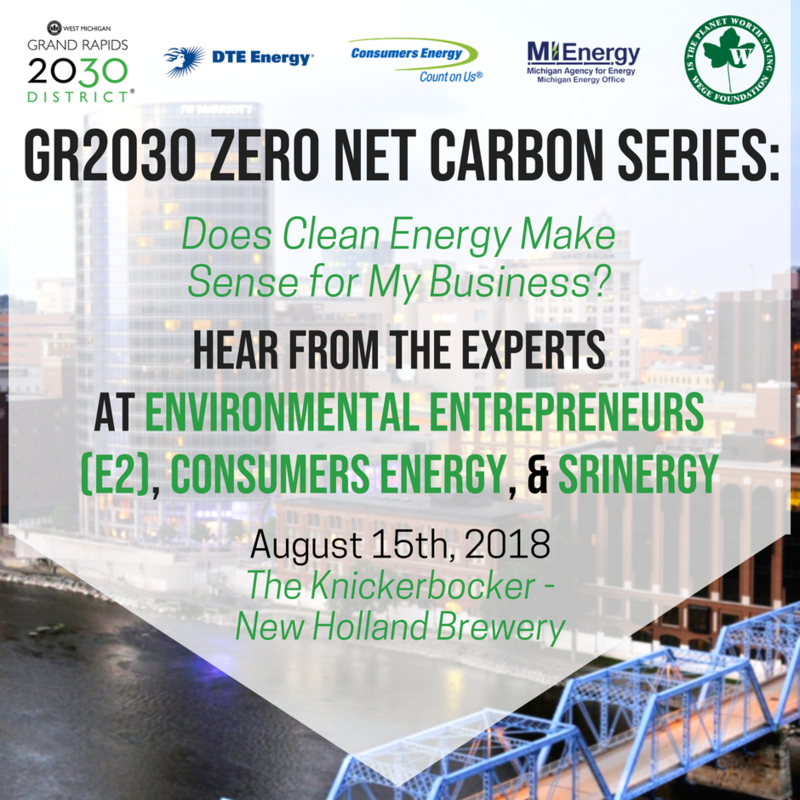 These pinpointed renewable energy and energy efficiency businesses, clean energy infrastructure and areas with high potential for renewable development across Michigan, developed by Environmental Entrepreneurs (E2). Srinergy presented a solar power case study. Consumers Energy also talked about the process of integrating renewables into an energy portfolio. 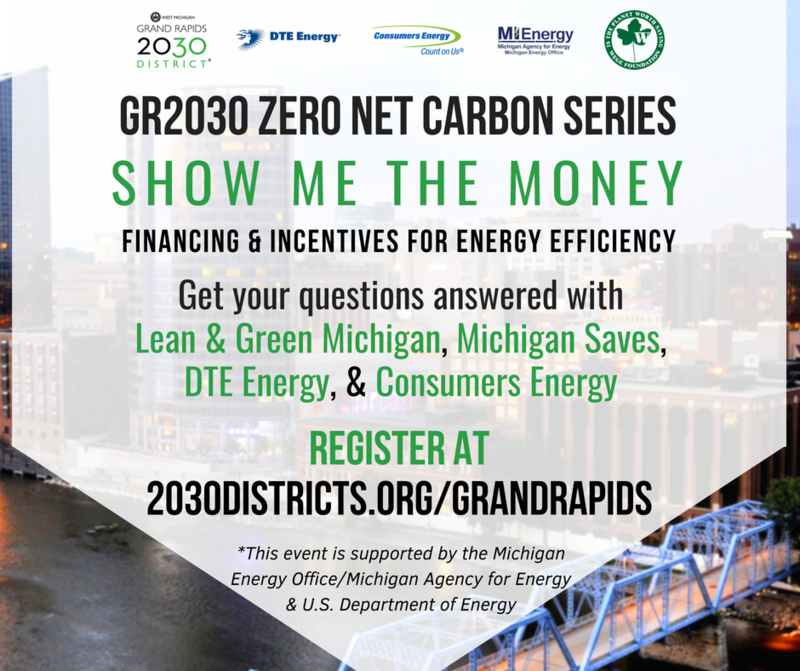 On July 11th, The Grand Rapids 2030 District hosted this lunch & learn at Harmony Hall. During this session, participants will learned to calculate key financial equations and portray the value to upper management. Net Present Value, Savings to Investment Ratio, Internal Rate of Return, & Payback calculations were broken down. To view the presentations from this event, click here. On June 27th, 2018, U.S. Green Building Council of West Michigan hosted a green building certification info session at GRCC's Leslie E. Tassell M-TEC center. This event included a summary of certifications WELL, LEED v4.1, Parksmart, Passive House, Zero Net Energy, and Living Building Challenge. 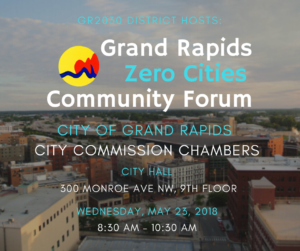 On May 23rd, the City of Grand Rapids presented a policy roadmap for the Zero Cities Project. 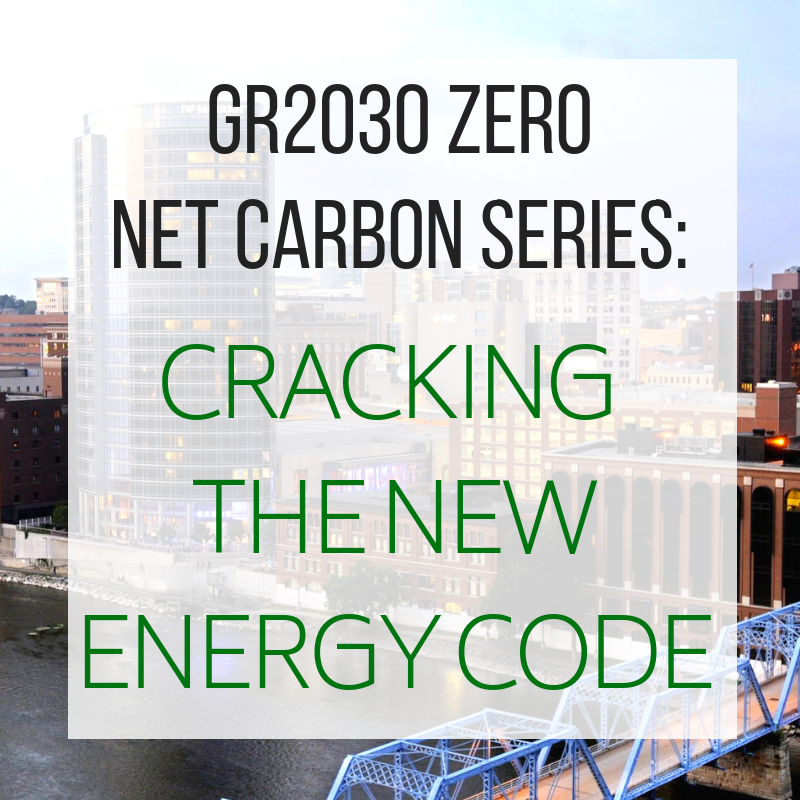 This project is a collaboration of the GR2030 District, the City, and Consumers Energy, in which tools & resources will be offered for deep carbon reduction in Grand Rapids. The second session in the ZNE series took place on March 13th, 2018. During this session we heard from a panel of experts on how and why managing existing systems is sometimes smarter than replacing them. The first of the ZNE Series took place on February 20th, 2018. 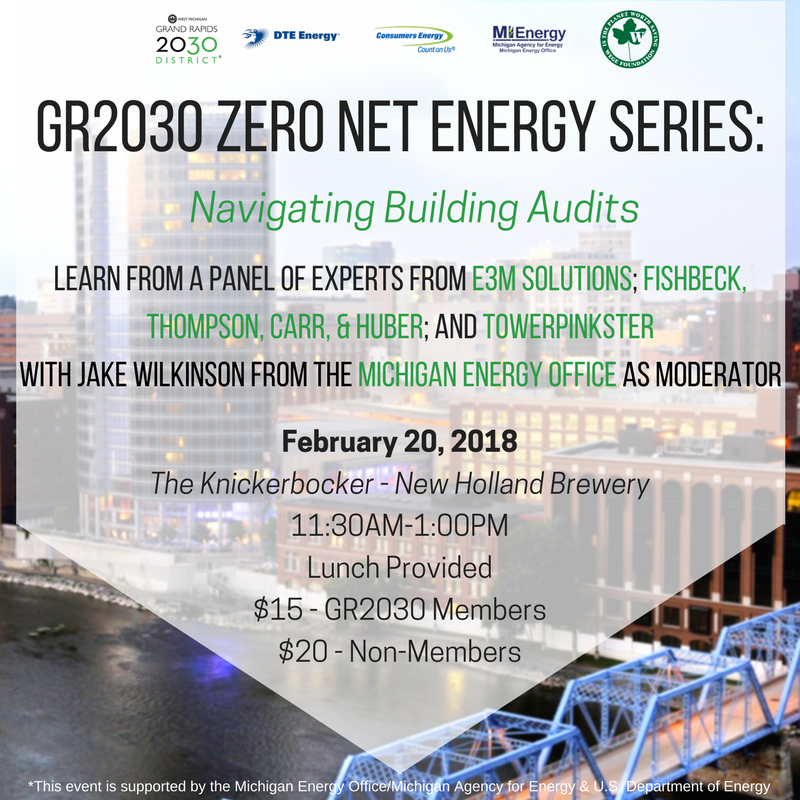 During this session we heard from E3M Solutions, FTC&H, as well as TowerPinker with the Michigan Energy Office moderating on the ins and outs of building audits. 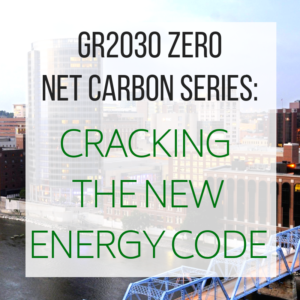 The first ever Zero Net Energy Workshop sponsored by Consumer's Energy and dedicated to net zero design and implementation successfully took place on Tuesday, November 14th, 2017 at the Grand Rapids Art Museum. 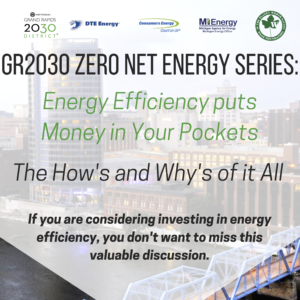 We learned about Consumers Energy's Zero Net Energy pilot program, tips and tricks on how to start a ZNE project, as well as local ZNE projects and their features. For details on this ZNE Workshop please check out our blog. 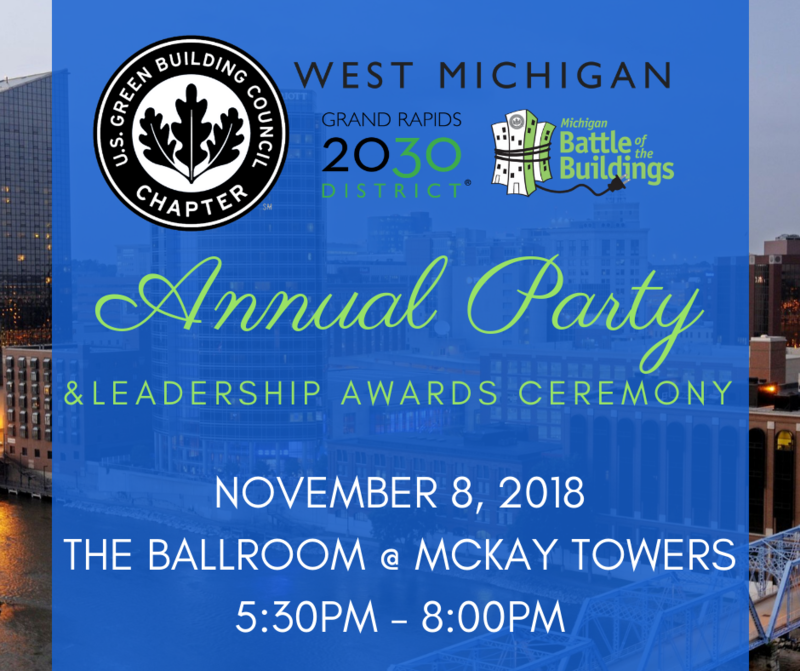 The USGBC West Michigan hosted the 2017 Annual Meeting/Fundraising party celebrating green buildings in West Michigan. 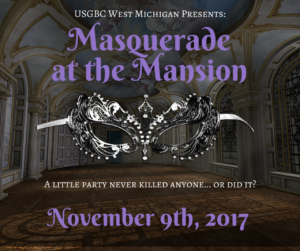 The “Masquerade at the Mansion” took place on Thursday, November 9th at the Paddock Place (Formerly Mangiamo!) in the Library. Thank you to everyone who came out to celebrate the Chapter's accomplishments this year! Take a look at our Impact to Date. 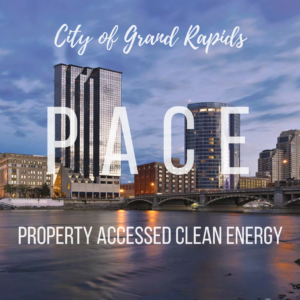 The GR2030 District along with Mayor Rosalynn Bliss, and the City of Grand Rapids celebrated the launch of the Grand Rapids PACE (Property Accessed Clean Energy) program on Monday, October 16 at Founders Brewing Company. PACE is a new way for property owners to pay for energy efficiency upgrades, on-site renewable energy, and water conservation measures without incurring any upfront cost. To learn more, click here. Our chapter is tagging onto USGBC National's #FindyourLEED ad campaign this summer. The LEED Spotlight committee is launching this and we'd love your involvement! 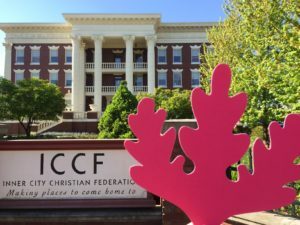 Just go to your nearest LEED Building with one of our Pink Oaks and snap a photo just like this one. Then, post it to your social media with the hashtag #FindyourLEED and tag the chapter's social media. Click here to print your leaf and join the campaign! On May 3rd, Grand Rapids 2030 District invited you to have lunch with the experts where they answered questions about ZNE (Zero Net Energy). They discussed what's been going on in California and talked about the ZNE buildings that are popping up all over the country (even in Detroit). 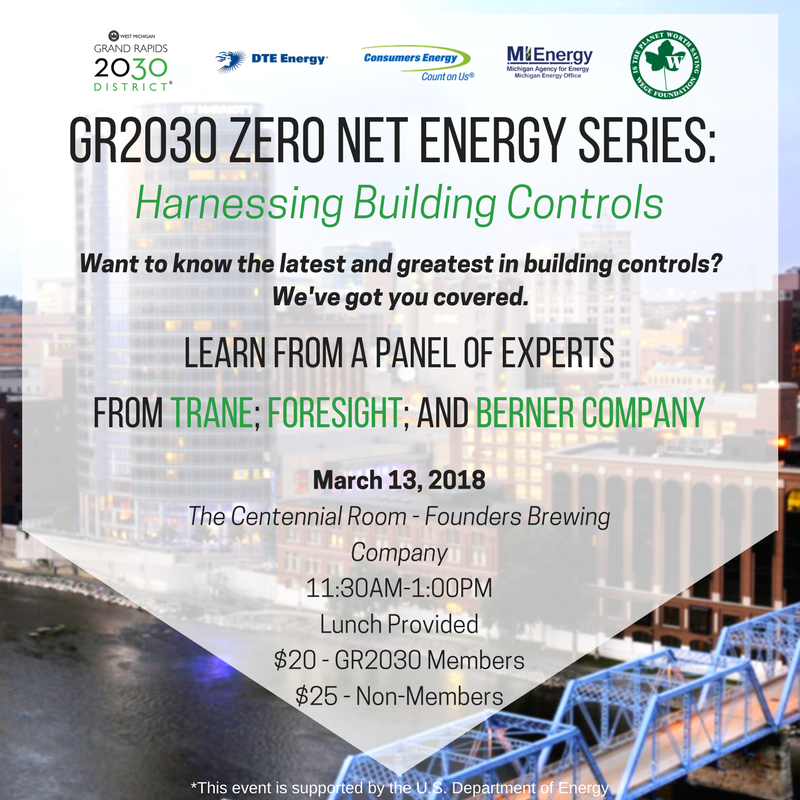 At the event, Consumers Energy rolled out a new (and aggressive) pilot program dedicated to providing the tools and resources to make ZNE buildings practical, affordable and replicable for Michigan building owners and developers.